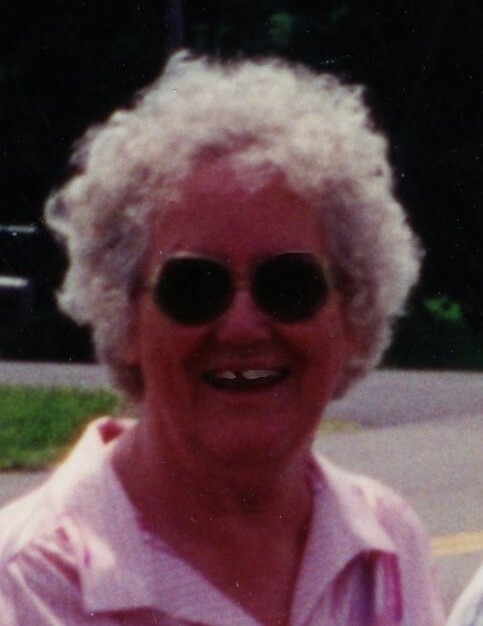 Sarah E. Emmons, age 93 of Goddard, widow of Ray Emmons, passed away on Thursday, March 21, 2019 at Hospice of Hope at Kenton Pointe in Maysville after a brief illness. She was born on February 8, 1926 in Bath County, a daughter of the late Tom and Nona Moran Ensor. Sarah was a lifelong homemaker and enjoyed collecting stamps and postcards, and was baptized as a child in the Sherburne Christian Church. She is survived by: two sisters, Effie Hunt of Flemingsburg, and Joann (Bill) Martin of Sharpsburg; a special friend, Bob Liljestrand; and a host of nieces and nephews. Besides her parents and husband, she was preceded in death by: a sister, Eva Mullikin; and six brothers, Lewis Ensor, Thomas Ray Ensor, James Corbett Ensor, John Franklin Ensor, Clyde Jackson Ensor, and Robert Wayne Ensor. Funeral services for Mrs. Sarah Emmons will be 11:00 am Tuesday, March 26, 2019 in the chapel of the Carpenter-Fritz & Vice Funeral Home officiated by Bro. Herbie Stallard. Visitation will be 6-8 pm Monday, March 25th at the funeral home. Burial will be in Longview Cemetery in Bethel. Serving as pallbearers will be David Hunt, Michael Hunt, Tommy Kiskaden, Bill Martin, Bobby Gorman, and Rob Kiskaden. Honorary pallbearers are Norman Crouch and Matt Hunt.